If you have urinary incontinence, you might feel anxious about working out—no one wants to have an “accident” at the gym. Whether it’s due to an athletic injury, childbirth, prostate surgery, or something else, a small or big leak can happen at any time. As any urology specialist can tell you, the condition causes many people to stop pursuing physical activity. Avoid Diuretics: Caffeinated beverages like coffee, soda, and tea act as diuretics, which can lead to leaking issues. While you should drink water while you work out to stay hydrated, avoid drinking beforehand to prevent problems. Ditch Spicy Foods: Even though they’re tasty, spicy dishes can irritate the bladder, especially in the case of urge incontinence, which is the result of an overactive bladder. Highly acidic beverages like cranberry or orange juice also do this, so try to cut them out. Wear A Tampon: Women with urinary incontinence should consider wearing tampons when working out. Tampons put extra pressure on the urethra and help prevent leaks from happening, especially if you suffer from stress incontinence. Train Your Bladder: Talk to your urology specialist about “bladder training,” especially if you have urge incontinence. It involves planned trips to the bathroom every two to four hours and teaching your body to follow a schedule. Wear Loose-Fitting Black Clothes: If something does happen while you’re at the gym, it’ll be harder to tell if you wear looser, darker clothes. Clothing like this also helps make wearing an incontinence pad more comfortable. 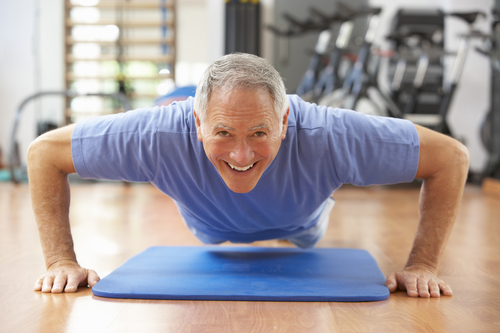 Urinary incontinence shouldn’t prevent you from staying fit and achieving the lifestyle you want. With these tips, you can manage the issue while reaping the benefits of your workout regimen, worry-free. If you have incontinence and need help managing this issue, the team at High Point, NC’s Medical Center Urology is ready to help. The care team here sets the highest standards for urology work while focusing on the needs of their patients. Learn more about them by visiting their website, following them on Facebook, or calling (336) 882-0220.